It's contest day at the 7MSN, and here's your chance to win a $100 gift certificate at csn|stores, the sponsor of today's merriment. All you have to do is correctly guess the mileage on my truck. I. Love. My. Truck. It's reliable and well-built. It allows me to follow my own path, wherever that may lead. It doesn't leave me stranded on the side of the road. No wonder it's one of the longest relationships I've ever had. Here are a few fun facts about my truck which may or may not help you form an educated guess about how far we've traveled together. I bought my truck when it was new in June 2001. It is a Chevy Silverado 2500HD. I change the oil every time the "change oil" light comes on, and if my record-keeping is correct, it has had 24 oil changes. I recently purchased its fourth set of tires. But take note that I have lived in the middle of nowhere for almost five years, and the road to the highway eats tires for breakfast. Fact #4: My mechanic's name is Jeff, and he's kind of cute. 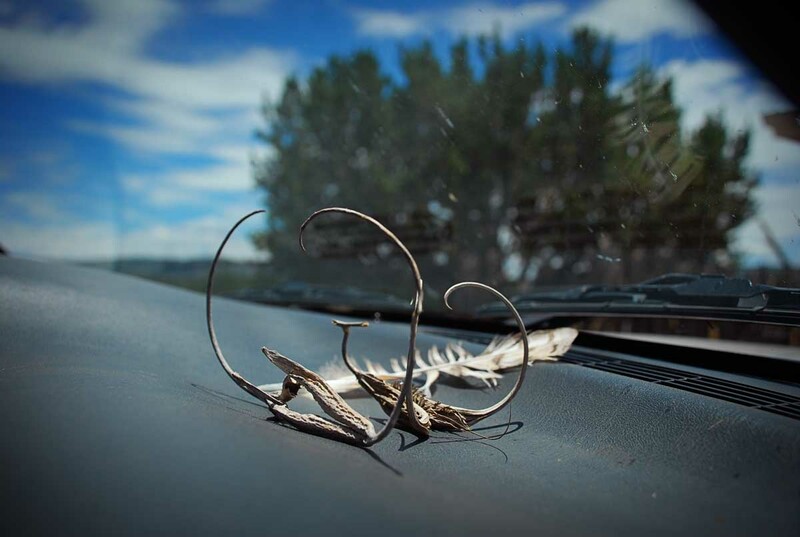 Fact #5: My truck has a very wide dash that I like to decorate with found objects, like this hawk feather and dried weed thingys. Have fun with this and leave your best guess in the comments. If you sign on as "anonymous," be sure to leave a name or way I can contact you if you're the winner. The prize: A $100 gift certificate at csn|stores. To enter: Guess the mileage on my truck. If no one guesses the exact number, she or he who comes the closest wins. In the event of a tie, the winner will be selected by George or Alan in a random drawing. One entry per person, please. Contest closes: Friday, July 2, 7:00pm Mountain time. The winner will be announced Saturday morning. 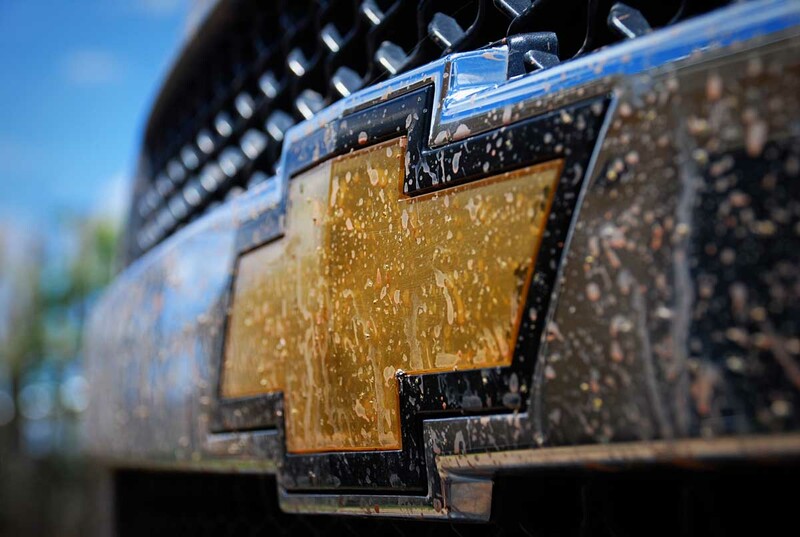 I'll guess 133,133, and Chevrolet says thanks for the great testimonial! 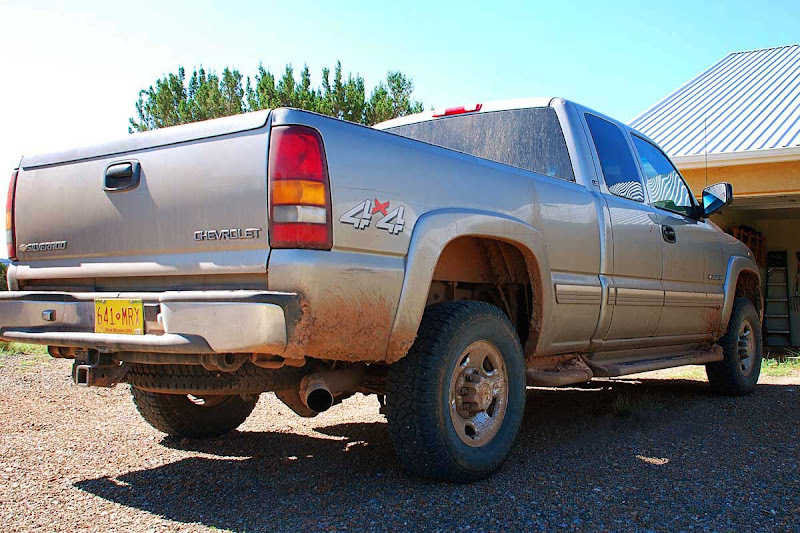 Best truck I ever had: a 2000 model Chevy Silverado 3500 crew cab. Since it was just me most of the time, having 4 doors was superfluous, but I loved it! I washed it every week. My Silverado was 7.3 meters long. I try to tell that to German people and they cannot visualize a personal vehicle that long. It had a matching canopy which was a nice upgrade from sleeping in a tent! I'll never have such a nice truck again, probably, *sigh* cuz they just simply don't exist here. I bet your truck has 130K. Enjoy it! And please, wash it! I'll guess 162,114. And you reeeeeally should change yer oil more often than when that idiot light comes on, especially with driving in all that dirt/sand/mud. 173,000 miles. How's that for random? 127,777 is my educated guess. Or maybe I just guessed. 158,387...it's just getting broken in! What i really want to know is if there's a tie, is the winner the one that is EATEN by George or Allan or the one that's left behind??? I've done my research and now know more than I ever wanted to about your truck! My guess, 165,353 miles. I love the photos. 173,898. It's a long way to the mailbox for you. hmmmm, lets see now....I say 189,123 miles. I have no idea. After seeing your truck I miss mine, I sold it a while ago because I just didn't need it anymore. I'll hazard a guess at 198,000. 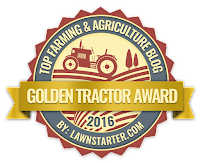 I put lots of miles on my vehicles and I'm sure you have too. I'm actually going to guess lower, just based on the oil changes----152,899. This is like the Price is Right. The weed thingys on your dash are Devil's Claws. When we first moved here, I found some on the property and thought they were soooo cool. I'm going to say 172,000 miles. I'm choosing 176,890. What fun things you think up! By the way, I'm sure we all worried about you yesterday with no post, until we saw the tweet thing. However, then I worried about Pat in TN, because I'm used to "hearing" what she has to say every morning, too! 195,000...just a wild guess from a gal who's never owned a truck. 146,823 - totally random...My other half has a '99 & an '86 - He LOVES them both... and they're still runnin'! Missed you yesterday. I'm too lazy to try to form an educated guess, so we'll go with the time my infant daughter woke up today (5:42 AM) and work that into mileage somehow. I'll go with 154,200 miles. Our family has a Toyota Tacoma that we L*O*V*E! 122,358.7 - kinda like the lottery and I might add, I'm lousy at pickin' those numbers too. I would say 120k on that tough Silverado. We have one too. Your weed thing is called a Devil's Claw. The dang things like to attach to the hooves and feet of animals. We have them in Colorado too. 152,490 miles -- 'bout time for another oil change. Hubby's current truck is a favorite, naturally a Silverado! how fun.. as usual.... I love your posts!!! My guess is 151,164, what a fun competition! De-lurking to guess 150,475 miles. There is nothing better than a dependable truck - my 4 Runner has 175,000 miles and has been a wonderful vehicle! No oil changes until it screams in pain? Sorry, couldn't resist. If you had changed every 3000 miles you would only have 72,000 on there. Definitely drive in extreme conditions. I say this knowing my car has had one oil change and is over 8000 miles now. Mark's "WAG" is 144,311 miles. 120,042. How cool is it that someone identified your weed thingys. Oh, and I'm really glad that I've never actually smelled your air freshener now knowing that it smells like stinky tennis shoes. I was taught in grad school that research is our friend, so upon further investigation, I discovered that in 1999 GM began installing a oil change calculation system, which is what signals that little light to come on, based on air temperature (particularly extremes, like in NM), rpm's (low on back country roads), length of trips (long steady trips to town are better than short, high load trips around town), etc. The theory was that one could conserve oil (and therefore $$'s) if one didn't depend solely upon the "3 months or 3000 miles" premise. The indicated mileage change distances ranged from 4000-15,000 between changes! I got my truck in 2001 also, so I was just going to go look at my mileage and guess that, but I'm sure I haven't reached 100,000 miles yet. So, I'll guess a crazy number like 111,111. That sounds like a number to get excited about. I'll go with 140,050 miles. I'm Katie. I'm guessing 156,012. Skritches to Deets, Smooch and all the boys. Hmm, well, I put a lot of miles on my vehicle. It's a 2005 and I already have nearly 110k. If I still have in four years, I should have about 198k. I need new tires, but this is only the second time I've had to purchase. You've bought a lot of new tires, but you note specifically rough roads. Hmm, okay, my somewhat-wild guess: 164,302. But the fact you haven't mentioned is of how many of those miles has Smooch been your 'Co-Pilot'. 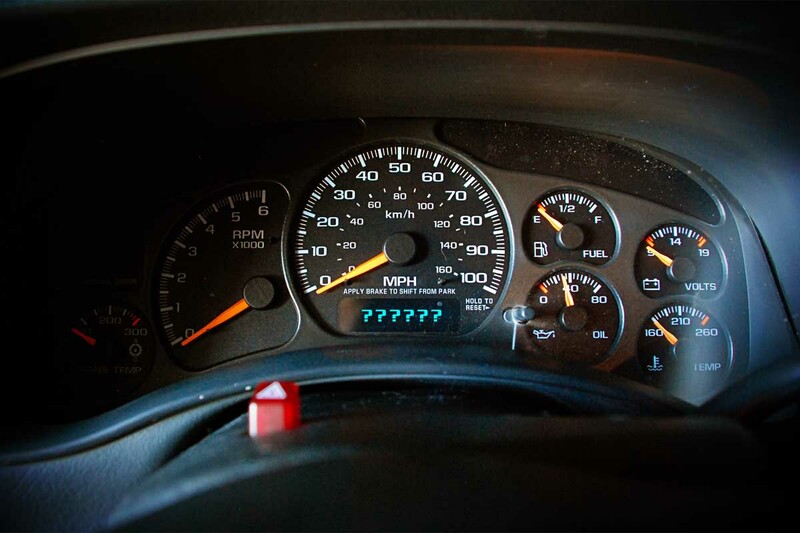 Here's to another (double the mileage) with that old truck of yours. I think the change oil light comes on after 5000 miles. So 24 X 5,000 = 120,000. I know that you live about 40 miles from any place that would change oil, and you probably aren't in town just as the mileage changes. So we need to add some extra miles. I'm guessing an average of 250 per oil change. So, 24 X 250 = 6,000. Add another 1% error factor of 1,200. Since I like palindromes, I'm adding a few more miles to make your odometer reading: 127,721. I tried to be scientific but since that's not my natural state I'm gonna go ahead and guess 123,456.7 miles. On a different note, thanks to you my daddy reads my blog every day. Of course he only reads mine to reach the link to yours. If a bearded gentleman with a red-head in leather show up at 7MSN on a construction yellow Goldwing, don't be afraid. It's just my mama and daddy. Well, you've had your truck twice as long as we've had ours. We live kinda far from town, but not as remote as you. So, I figure given where you live I'm gonna guess 149,070 miles. 164,547 ...and there was no thought put into that answer. What is Alan's guess? I love the critters! Thanks for asking - based on the tires I'm figurin' 120,000. I will guess 178,920, no one else has gone there LOL Our 2000 Ford has about 120,000 on it, but we dont drive very far. Hubby drives about 6 miles to work!When we bought it 2 years ago it was just under 100,000. I'm going to guess 122,222. Love all of your critters! 102,000. Hey folks, it isn't an "idiot" light that tells Linda when to change the oil...it's GM's Oil Monitoring System which allows folks to save precious resources by only changing the oil when it's needed, instead of doing it on a prescribed schedule. I have no scientific method...so the number that comes into my head is 139,857. Here's my guess ... 145,031. Sorta random! Have you tried the 'Yankee Candle Company' Car Jars? They are scrummy! Fresh cut roses is my favourite but you can get them in a mad range of scents including 'Leather' which smells like a new car :). "Campfire ashes"?????? who came up with that! haha. glad it fades quickly. I was going to say 125,000 but than I figured in your kinda cute mechanic and I'll have to go with 129,000. I have to agree with Gaina...where's the photo of your mechanic?! I'm going to go with 150,000 Alex...er...Linda. Final Answer. Because "normal tires" (depending on quality) are 40k-80k tires. 40k = 30k - because your location is harsh on tires. So I'm going with 197,462. Because hopefully it's not time to (quite yet) to replace this set. 172,382. I like two's......I made my own snake pole today...I like in tucson but in an apartment. My cats just want to play with the string. gosh this is a tough one. i put so many miles on my car close to 30,000 every year. and with you living in the middle of nowhere and sometimes have to go somewhere i'm quessing your odometer reads 147,890. My guess is 114,597. And it's probably time for you to visit that cute mechanic again soon! My guess would be 120,555. miles. Gotta love a good truck. I could not live without mine. Love your pictures and your animals. I guess 144,444. Not likely, I know, but I like the number 4. It's lucky! 112,500 cuz that's what my little car has on it right now. I had a glitch and I don't think my comment came through -- this may be a duplicate. I'm going to sneak in at the last moment and guess 123,000. Seems a little low for a truck of that age but it sounds right from the tips you've given. Hope it was a good day on the 7MSN Ranch! Okay, I feel like a stalker now...lol. We have the exact same truck (same year and color)except ours is a 4-door, crew cab. I'm truly not a good guesser at these things. Way over estimated the hay bale contest. Anywhoo, it must have a LOT of miles on it for you to post this post. Is LOTS a guess? OK, adding this late: guessing 165,000.